The new Samsung televisions offer some great services. Some others that will require some more planning for installation. Samsung have introduced what they are calling “One Connect”. 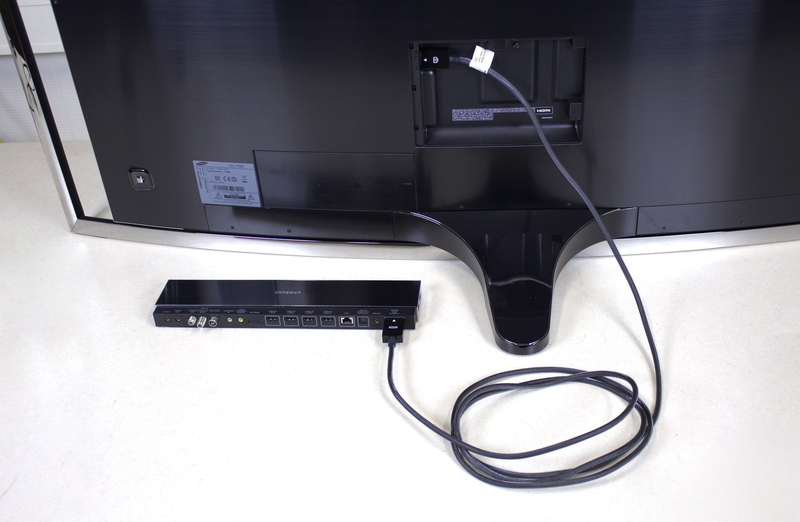 This is a single box which houses all the connections you would need on your television, with a single cable that links the connections box to the television. This makes installation on a table top neat and tidy. However with the installation of the television on flush mount wall bracket will require planning for where to place the one connect box. Last month we installed three Samsung Flat Panel UHD televisions with the One Connect. They were simple to install and One Connect was great, of course planning where to place the boxes added more time to the project. The picture quality looks great on the new UHD televisions. Even if a standard High Definition video signal is played over them. The illusion of a larger picture is created through the introduction of the new curved screen. Our only concern leading up to the event was that the when we install the screens on a straight wall the curve is something that your eye will notice. We were pleasantly surprised though that once you start watching some video content the curve of the screen does not bother the viewing experience. 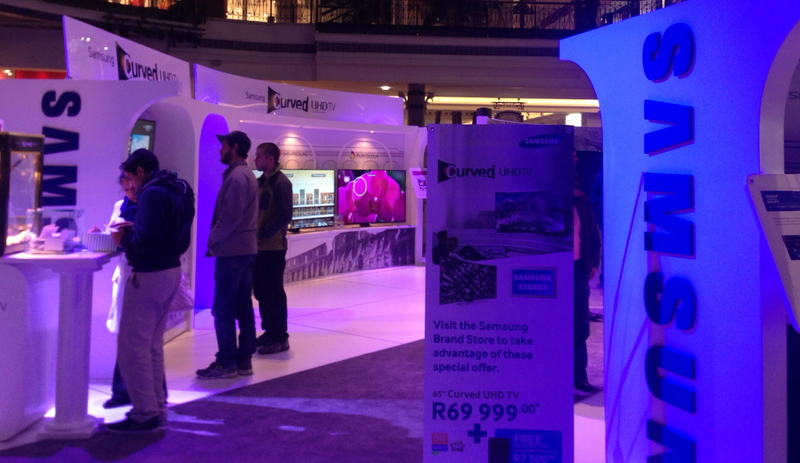 Overall they are great televisions and we look forward to installing the new Samsung UHD televisions to our clients.